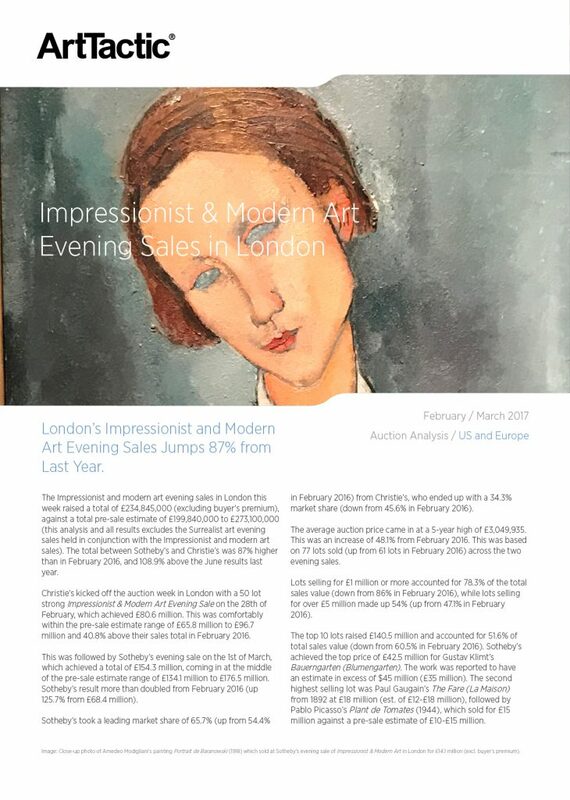 The Impressionist and modern art evening sales in London this week raised a total of £234,845,000 (excluding buyer’s premium), against a total pre-sale estimate of £199,840,000 to £273,100,000 (this analysis and all results excludes the Surrealist art evening sales held in conjunction with the Impressionist and modern art sales). 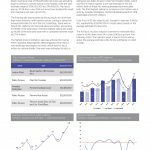 The total between Sotheby’s and Christie’s was 87% higher than in February 2016, and 108.9% above the June results last year. Christie’s kicked off the auction week in London with a 50 lot strong Impressionist & Modern Art Evening Sale on the 28th of February, which achieved £80.6 million. This was comfortably within the pre-sale estimate range of £65.8 million to £96.7 million and 40.8% above their sales total in February 2016. This was followed by Sotheby’s evening sale on the 1st of March, which achieved a total of £154.3 million, coming in at the middle of the pre-sale estimate range of £134.1 million to £176.5 million. 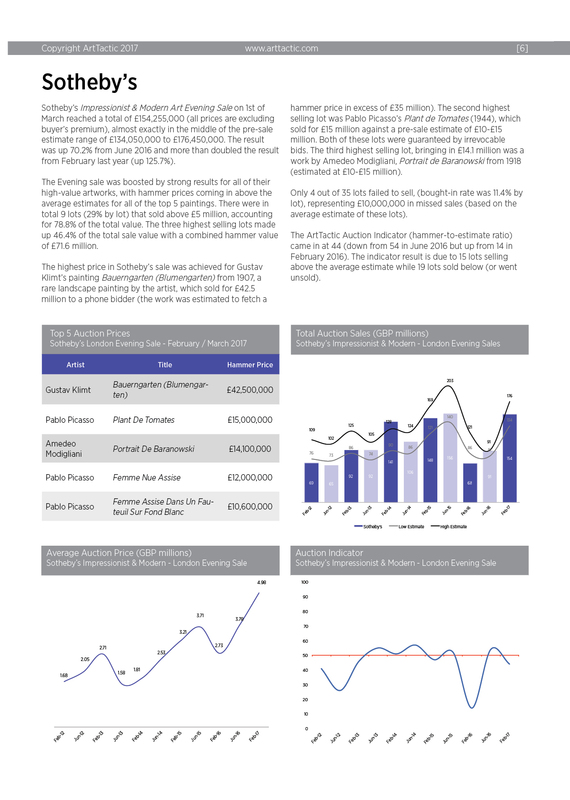 Sotheby’s result more than doubled from February 2016 (up 125.7% from £68.4 million). Sotheby’s took a leading market share of 65.7% (up from 54.4% in February 2016) from Christie’s, who ended up with a 34.3% market share (down from 45.6% in February 2016). 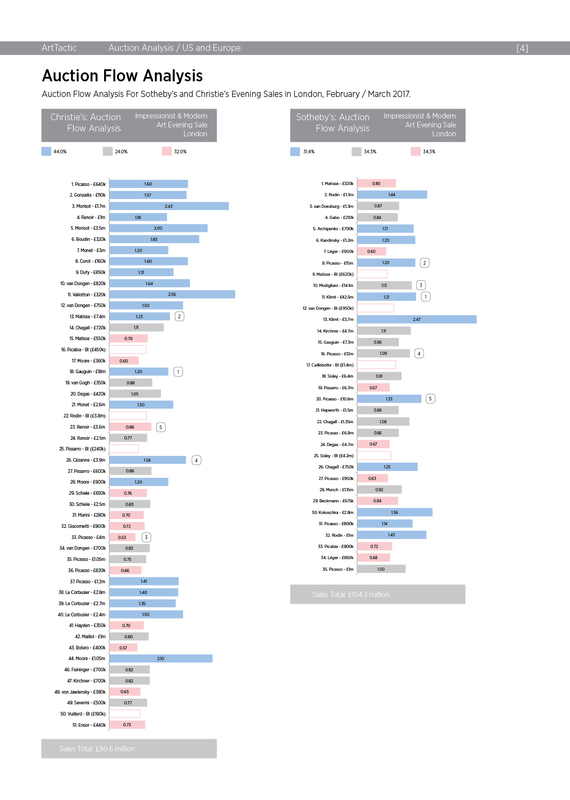 MEDIUM ANALYSIS 2012 – 2016. The average auction price for Christie's and Sotheby's combined evening sales of Impressionist and modern art came in at a 5-year high of £3,049,935.